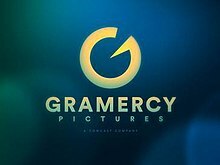 Gramercy Pictures was an American film production label of Universal Studios' Focus Features division, both of which are owned by NBCUniversal which is ultimately owned by Comcast. It was founded in May 1992 as a joint venture between PolyGram Filmed Entertainment and Universal Pictures. Gramercy was the distributor of PolyGram films in the United States and Canada and also served as Universal's art-house division. After Seagram's buyout of PolyGram, Gramercy along with October Films were merged by Barry Diller to form USA Films in 1999. In 2015, Focus Features (the current art-house division for Universal) revived the name as a label for action, horror and sci-fi genre films; this version of the label ran until April 2016. Gramercy Pictures was formed in 1992 as a joint venture between PolyGram Filmed Entertainment and Universal Pictures. Gramercy Pictures released its first film, the Mario Van Peebles western Posse, in May 1993. In January 1996, PolyGram brought the 50% stake owned by Universal thus assuming full control of Gramercy. The distributor also had box office hits in 1994's Four Weddings and a Funeral, 1996's Fargo and 1997's Bean. Several Gramercy releases of the 1990s have grown in stature to become cult classics in the present day: The Big Lebowski, Dazed and Confused, Clay Pigeons and Mallrats. In addition, 1995's The Usual Suspects won two Oscars, for Best Original Screenplay (Christopher McQuarrie) and Best Supporting Actor (Kevin Spacey). When Seagram acquired PolyGram in 1998, the latter was merged and folded into Universal; as a result, it reacquired Gramercy as it controlled Universal. In turn, Seagram sold the bulk of the PolyGram film library titles released up until March 31, 1996 to Metro-Goldwyn-Mayer in 1999, and later on, it sold Gramercy and another specialty division, October Films, to Barry Diller's USA Networks, which merged both companies into USA Films. USA Films was then merged with Universal's own art-house division, Universal Focus, and transformed into Focus Features in 2002 after Vivendi Universal acquired USA Networks from Diller. In May 2015, Focus Features announced that the Gramercy label has been revived to release action, horror and sci-fi genre films. Its first release was Insidious: Chapter 3 on June 5, 2015. ^ a b Petski, Denise (May 20, 2015). "Focus Features Revives Gramercy Pictures Label For Genre Films". deadline.com. Retrieved May 20, 2015. ^ "Box office information for Posse (1993)". Box Office Mojo. Retrieved November 5, 2010. ^ "Gramercy Sold To Polygram". Reuters. 11 January 1996 – via The New York Times. ^ "The Telegraph-Herald - Google News Archive Search". ^ BATES, JAMES (28 September 1999). "Universal Adds Division for Specialty Films" – via LA Times.